I have been backpacking for over 30 years, all over California, and in many of the western states and Minnesota. I hike year-round, and average 500+ miles (800+ km) per year. I have made a move to lightweight gear, and smaller volume packs. I start early and hike hard so as to enjoy the afternoons exploring. I usually take a freestanding tent and enjoy hot meals at night. If not hiking solo I am usually with my wife Jenn or brother-in-law Dave. The Therm-a-Rest ProLite 4 pad (hereafter called the ProLite or the pad) is a light weight, compact sleeping pad positioned by the manufacturer as being, "Great for mountaineering, winter camping, backpacking, and multi-day adventures". I do all that and more. 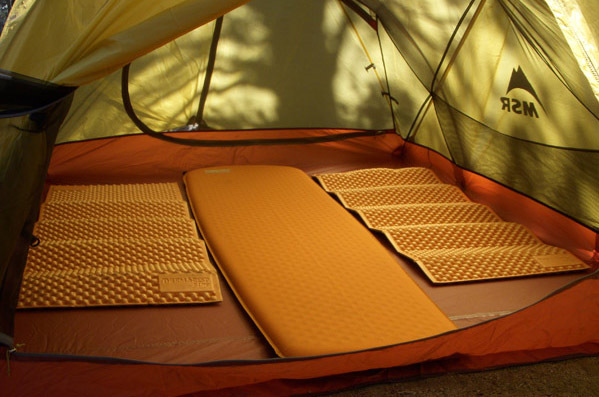 Therm-a-Rest calls the ProLite their lightest, most compact 4-season mattress. They claim that, "Innovative new materials reduce weight by 25%." As I have their GuideLite model, (the one the ProLite 4 replaced), that weighs 2 lb 2 oz (960 g) I can vouch for that. In fact I see a 30% reduction between the two. The ProLite has a tapered design that is wider at the top, or head end, and narrows as it goes to the bottom foot end. 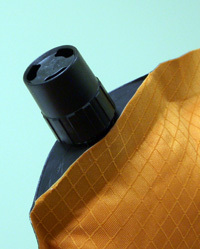 The top cover is orange in color and has the company name, model, size and other pertinent information screen printed on it in the upper left hand section. 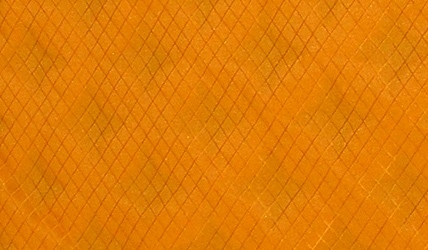 The fabric has a diamond rip-stop pattern in it, and has a brushed cotton-ish feel to it. The bottom is dark gray with tiny white dots of texture. Therm-a-Rest calls this their, "Super-grip bottom" that keeps the pad from slipping. Where the two colors of fabric, top and bottom, have been welded (glued) together it leaves a 0.6 in (1.5 cm) edge going around the entire pad. At the upper left hand corner is the inflation/deflation valve. This is a standard plastic screw-type valve. It turns counter-clockwise (lefty-loosie) to open for inflation, and when filled to the desired level turned clockwise (righty-tighty) to close it, trapping the air inside. The inner-fill is made of open cell foam that has been die-cut in a diamond pattern to cut weight. I have tried to show the outline of the foam inside the pad by pulling the air out of the pad and photographing it. The dark areas are where the foam is missing. A two-day trip with Jenn taking the South Fork Trail to a camp site at Lodgepole in the San Bernardino National Forest. This 11-mile round trip hike had 3400 ft (1036 m) of gain and loss. It got up to 83 F and only down to 59 F (28 to 15 C). A tough two-day 11 mi (18 km) trip to the top of Mt San Jacinto by way of the Marion Mountain Trail. I spent the night in Little Round Valley. This rough hike gains over 4400 ft (1341 m) in 5.5 miles (9 km) in temps that topped 80 F (27 C). The next weekend I took Jenn to the same place, but made a three-day trip out of it, stopping the first day at Little Round Valley where we made a base camp. Temps ranged from 54 to 81 F (12 to 27 C). I took Emma and Ray to Itasca State Park , the birthplace of the Mississippi River where we got a permit for one of three sites at Myrtle Lake. (Backpacking sites are issued just like camp sites in a campground, a new one for me.) This four mile (6 km) round trip hike was on easy terrain as it is almost all grass, at the worst dirt. Temps were from 64 to 80 F (18 to 27 C) at an elevation of 1500 ft (460 m). The kids and I went with Uncle Dave and their cousin Kendall to Round Valley in San Jacinto State Park (California) for an over-night trip with lots of boulder climbing. The temperatures ranged from a low of 55 F to a high of 80 F (13 to 27 C). This was at an elevation of 9200 ft (2800 m). 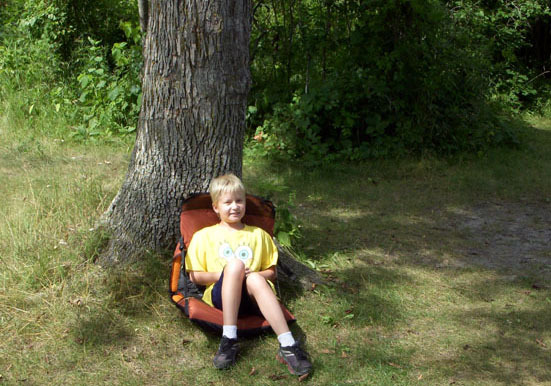 And last we went on a three-day backpacking trip to Maplewood State Park in Minnesota. We stayed at the Beers Lake Backpacker site the first day and at the Grass Backpacker site the second. The weather was great for two days then rained the last. The temperatures were from 79 down to 61 F (26 to 16 C). The elevation was 1340 ft (408 m) above sea level. It was also used on two camping trips. 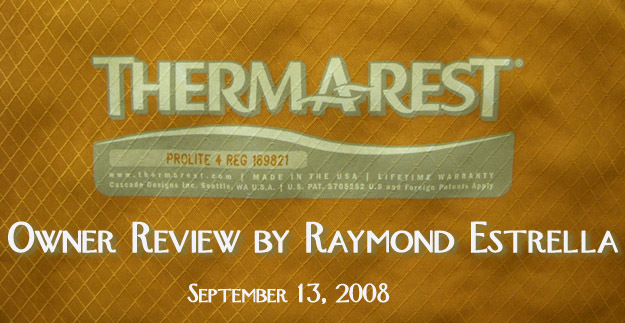 I have owned five Therm-a-Rest pads over the past 18 years. The last one I bought was the GuideLite model. The next year they came out with the ProLites, which my brother-in-law Dave immediately bought. I thought about it hard but decided to go a different direction. It turned out to be a good purchase. The ProLite 4 is a very comfortable pad. While the trips on Minnesota saw the pad used on dirt or grass sites, the trips in California were all at high elevations on very rocky sites. It was much more comfortable than my old GuideLite. It was much less slippery too. The super-grip bottom does just that. I have never had any mat stay put as well as this one has. My bag has not slipped on the top fabric either, but I did not have it on the top often. This is because when it is warm I will usually open my bag and use it as a quilt as needed during the night. This means that I am sleeping directly on my pad. The cotton-feel of the ProLite's top cover was very comfortable using in this fashion. I did not get as sweaty-feeling as I have with some of my other pads when used this way. Here is a shot of it in between the kids Z-Lite pads (see separate review). It was nice using a pad that self-inflates again. When I would get into camp I would unroll the ProLite, open the valve and let it set off to the side while I set up the tent. I would then close the valve and it would be ready to slide into the Trekker chair with the air that had come in to fill the foam. Once it was time for bed I would have to add three or four more puffs to fill it to the firm level that I like to sleep on. Of course the down side is that all the air that goes in by itself has to be pushed out when it is time to pack up in the morning. I fold the pad in half lengthwise and lay on it until most of the air is out. I then close the valve and start rolling it up from the bottom. About halfway rolled I open the valve and bleed off the accumulated air once more. Now I leave the valve open as I roll it the rest of the way up, closing it once all the air is out. I did not buy the optional stuff sack, instead I snap a quick-connect strap around it and call it a deal. I was quite wary of using it as a chair at first. I have never used a chair before and worried that my big bum would pop the ProLite on rocks, twigs or pine needles. But after about 5 backpacking trips and two camping trips with it used in the chair it is still holding air perfectly. My kids loved grabbing the chair any time I left it vacant. I would say, "What peasant children dare sit in the King's throne? To the dungeons with you!" They never got tired of it. Here is a shot of Ray sitting on the ProLite Trekker combo. I am going to take the ProLite to Minnesota to leave there now so that next year I do not have to fly it back and forth. I expect to use it on many trips there with the children during the summers to come. I may try it in winter with the company's Z-Lite Regular (which I have one of already) on top. If I do I shall update this review with my findings.